Nanay's Trip Festival of Lights My Journey and Joys Nanay's Trip SM Mall of Asia Lights, Dance and Smile at the Brightest Parade Ever! Lights, Dance and Smile at the Brightest Parade Ever! 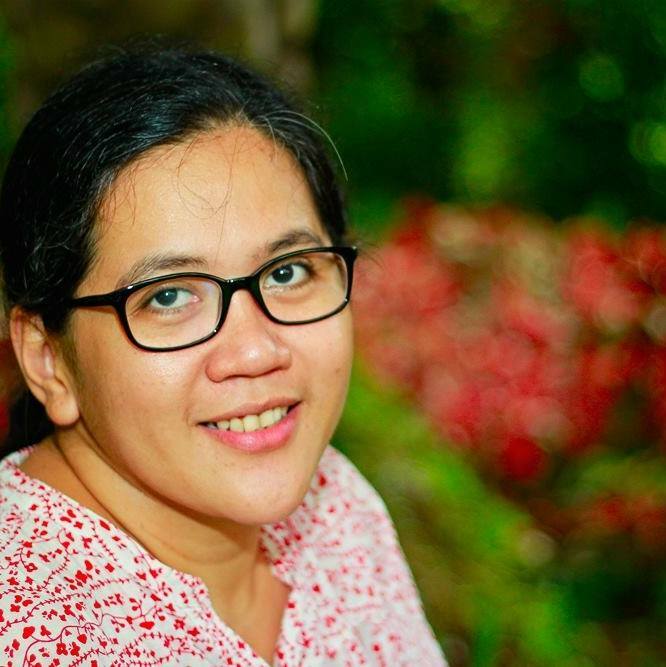 We plan to make this year's Christmas celebration memorable for our dearest Rio. This will be his fourth Christmas but we think this will be the year when he can appreciate and remember better how we celebrated this wonderful season. He even has gift requests for Santa Claus and is eagerly waiting for his moment to put the star on top of our Christmas tree ( yes, it's already December and our tree is still not up!). The SM Mall of Asia's Grand Festival of Lights last November 29 was truly the best and grandest way to signal the start of our Christmas 2014 celebration. 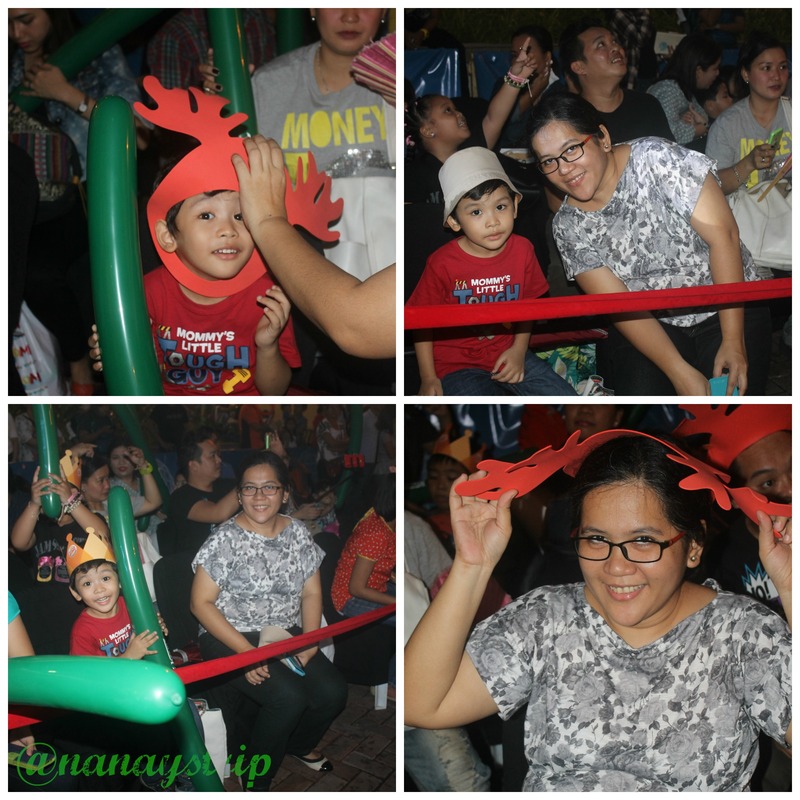 We were so lucky to be included in the pre-event party held at TGIF, Mall of Asia. The delicious snacks and sweets were just perfect while we waited for the parade to start. 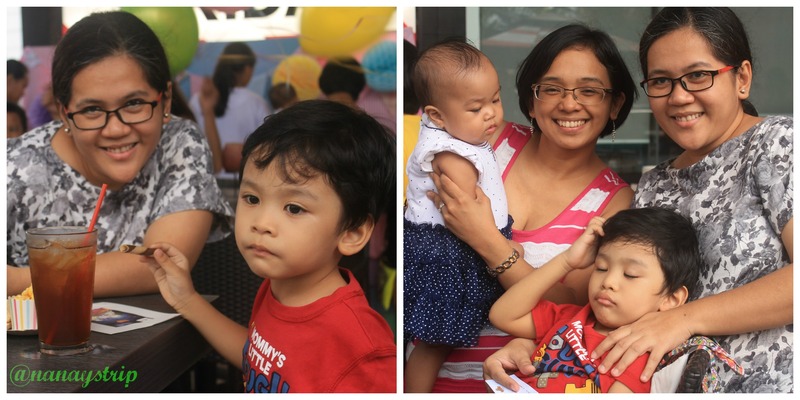 I also had time to introduce myself and get to know some of the mommy bloggers who were in the event. Sayang, I was not able to take pictures with all of them. I noticed that they all have their little princesses with them. Ako lang yata ang may dalang little boy. The Grand Festival of Lights motorcade includes 12 colorful Sanrio character floats and a parade of mascots, cheerful dancers and performers. 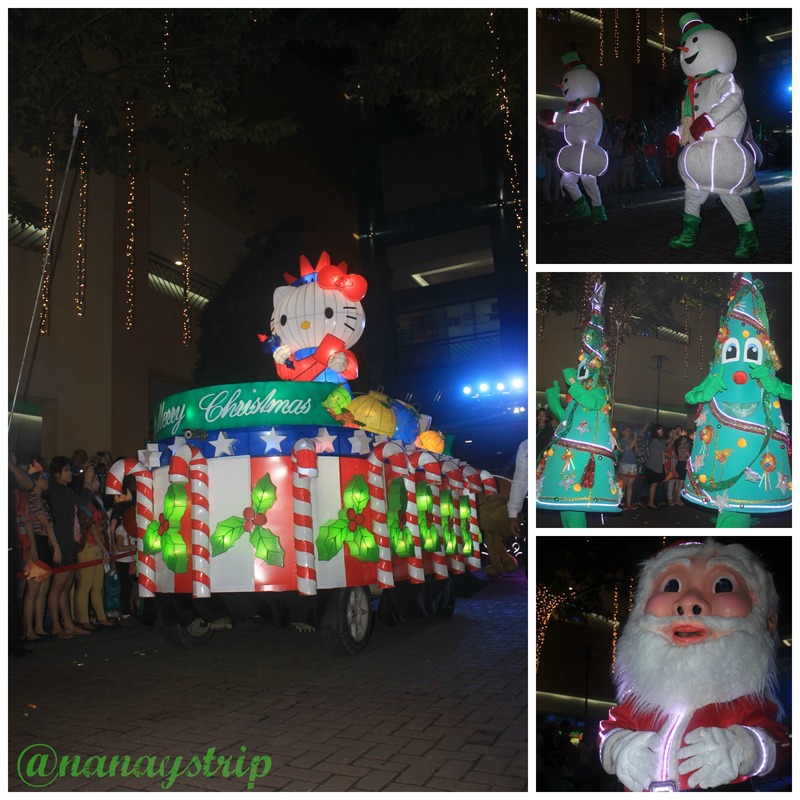 My favorite floats were those carrying The Little Twin Stars (my all-time favorite Sanrio characters) and Hello Kitty with the banner Maligayang Pasko. Our little boy was so amazed with the bright costumes of the performers in the parade. The radiant smiles of the dancers kept the audience excited until the end of the parade. 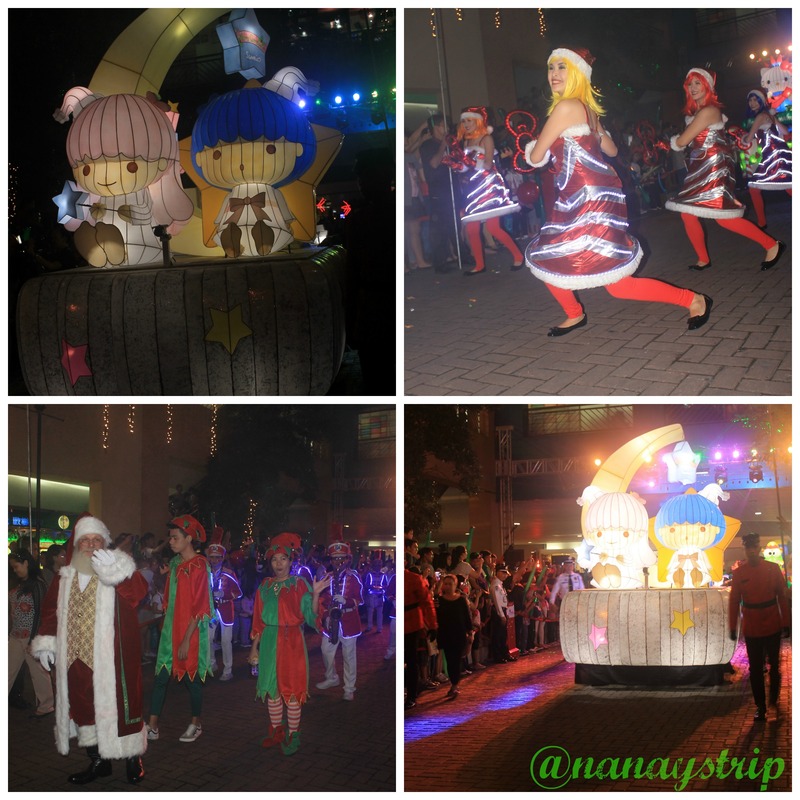 You can still catch and enjoy this Christmas parade at the Mall of Asia grounds every Saturday until Christmas Day. The parade begins at the North Arcade at 5:30 in the afternoon and ends at SM MOA by the Bay with a grand fireworks display. If you are doing your last minute Christmas shopping at the Mall of Asia these coming Saturdays, set your shopping break just in time to witness this spectacular Sanrio-style lights festival. There are also other activities to look forward to at the Mall of Asia : Meet and Greet Santa Claus every Saturday and Sunday at the Main Mall Atrium at 3:00 p.m. and the Pyromusical Weekends at the SM MOA By the Bay at 7:00 p.m.
For updates on fun holiday events, visit the Facebook page of SM Mall of Asia or follow @TheMallofAsiaOfficial on Instagram and @TheMallofAsia on Twitter. Love the Sanrio-themed floats! If only MOA weren't so far away from us! Love, love Little Twin Stars! This is sure fun for the kids (and the mommies - who are Sanrio fans)! Saturdays lang talaga, sis? Walang weekdays? Waaaah...gusto ko talaga makita to! What a really fun-looking event! I'm not sure if my Yuri would stay put, though, because he's not fond of loud music. But I'm sure he'll love the show of lights just like Rio! Little V has not experienced seeing a parade of lights before. Too bad, MOA is too far from us. Looks like the kids (and the moms!) will really enjoy this. It sure looks like one helluva fun. 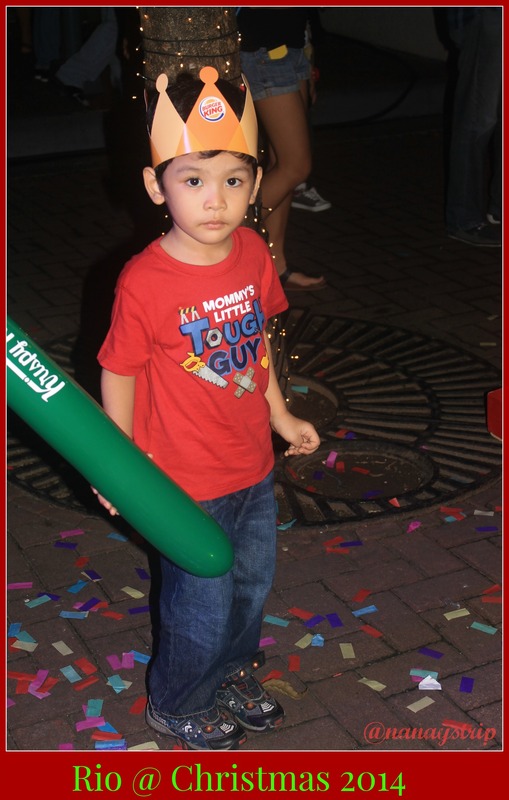 :) My baby enjoyed the Ayala Triangle lights so for sure she'd be giddy seeing this too.